The most important part of TPW™ is focused on product quality and innovation. We are constantly sourcing new ingredients, experimenting with new formulas, reading up on the latest nutritional research. Basically always looking for new ways to raise the bar in terms of quality and efficacy. It's pretty universal that you get what you pay for and the better the quality of ingredient, the better the results. 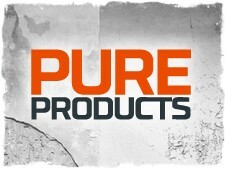 This is the bedrock of why every product in our range has to be PURE. We are very selective about the suppliers we work with and TPW™ accredited suppliers must pass rigorous quality tests before we will use their raw ingredients in any of our products. As a result, each product in our range contains only the finest quality ingredients. You might think this would make our products expensive, but we can mitigate against charging high prices by agreeing long terms deals with accredited suppliers, buying in bulk and selling direct online to you. All this, plus the fact we manufacture our products in-house mean you get incredible value for money. Something we call "premium value". If you want to try our products for the first time, you can order as little as 250g of protein to get you started. Whatever you think of our products, we're keen to hear your views, so make sure you leave a product review whether you come back for more or not. Unlike nearly all other sports nutrition brands in the market today, THE PROTEIN WORKS® supplements are produced in-house in our own manufacturing facility. This means we can produce pretty much to order so our stocks remain fresh and potent. If you think through a retail or third party produced brand, there is a long chain that your supplement has to go along before it reaches you. This can include sitting in the manufacturer's warehouse, the brand's warehouse, the supermarket's warehouse, on the shelf, as well as all the transport in between. Our products are manufactured, packed and shipped out direct to you in most cases in a matter of days. This means the freshness and potency of every TPW® is maximised which means optimal results for you. In addition, all our powder products are packed in air tight, foil-fresh re-sealable pouches to ensure the freshness remains locked inside. Besides all of this, it's just human nature to want the freshest products we can get our hands on day in, day out.